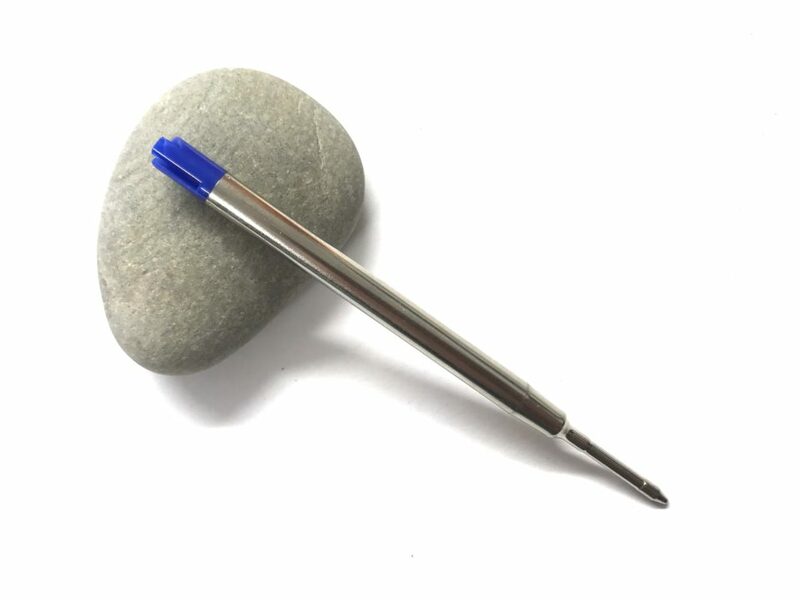 This Sierra Elegant Stylus Pen is both a pen and a stylus suitable for use with iPhones, iPads or any touch screen device. The rubber stylus is located on the top of the pen. 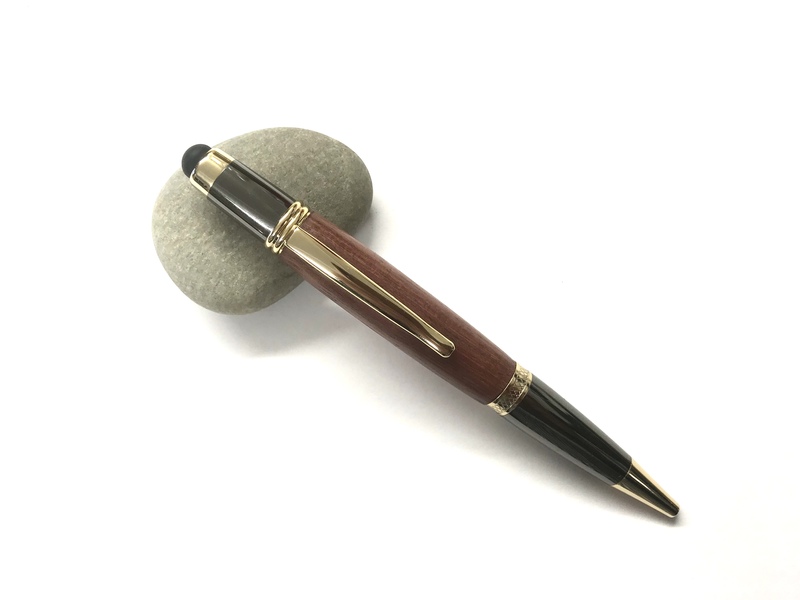 This Sierra Elegant Stylus Pen is available in Gold trim only and available in a variety of wood types. A heavier pen with a Parker style refill.